Shop / Natural Products / Finally! 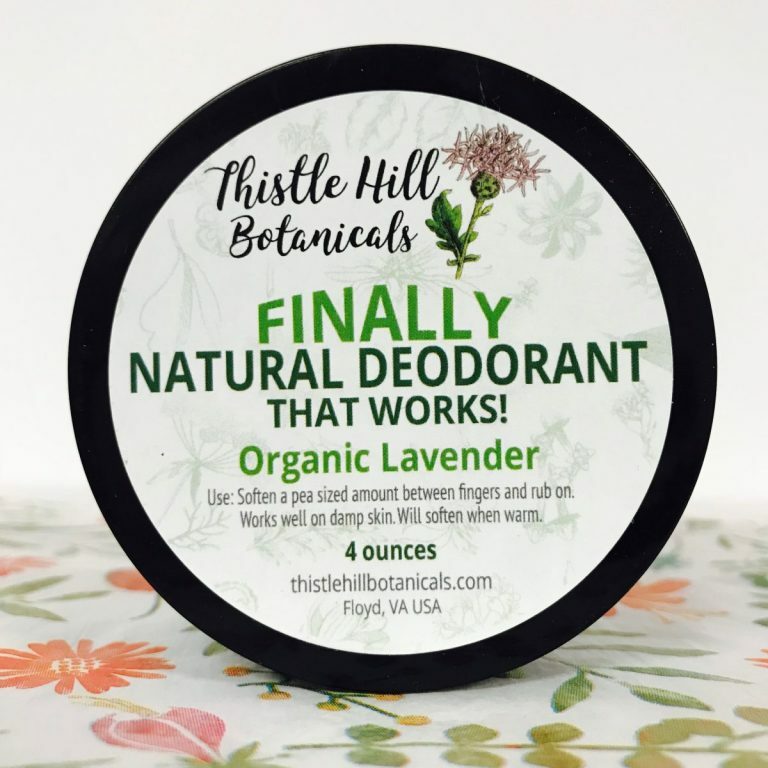 Natural Deodorant that Works Lavender 4 oz. Here is our Value Size of Finally! Natural Deodorant that Works Lavender 4 oz. Life can get sweaty. It can even get stinky. No one wants that – but we don’t want our skin soaking in chemicals either. There are other natural deodorants out there, but how many can you actually trust to do the job? That’s why we developed Thistle Hill Botanicals Finally! Natural Deodorant that Works Lavender 4 oz. Free from all synthetic or animal ingredients, FINALLY! keeps working as hard as you do. We believe that our deodorant is the best out there. FINALLY!’s all-natural formula includes arrowroot, bicarbonate of soda and beeswax gently scented with pure essential oils. It comes as a smooth, dense cream (solid at lower temperatures). Just Scoop a pea-sized amount of deodorant and rub on to your underarms as you leave the shower. 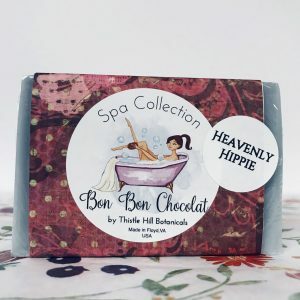 It melts easily onto clean, damp skin to keep you smelling clean and fresh all day. Packaged in a BPA FREE,Emerald Green, Reusable and Recyclable container. We make our products with love in small batches. We produce all of our products in Floyd, Virginia USA in the heart of the beautiful Blue Ridge Mountains where the air is clear and there are more cows than people.. Here is just one of many testimonials, from Liz on Finally! 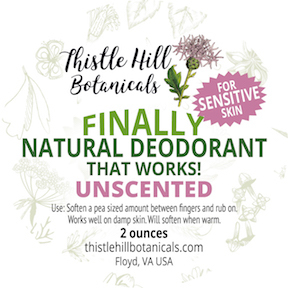 Natural Deodorant that Really WORKS! It’s true, this deodorant actually DOES work! It’s a miracle; I couldn’t believe it. Previously, I was using Secret Clinical Strength because even the store’s deodorants work only half the time, so I was skeptical that this would work, but since I didn’t like the idea of putting chemicals on my body every single day, I figured I needed to at least try it. I just use a little spoon to scoop out a small amount and rub it on. It smells nice and again, it actually works. I’ll be using this for life! Now Available in three all natural scents! 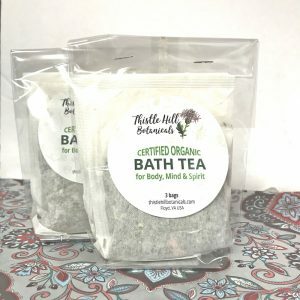 Light Citrus,Organic Lavender & Ancient Spice! Also now available in our Sensitive Skin Formula with no baking soda in Juicy Citrus. 2 reviews for Finally! Natural Deodorant that Works Lavender 4 oz. LEGIT! I was traveling to Richmond, VA for a conference, and, having lived there previously, had to stop at some of my favorite grocery stores. 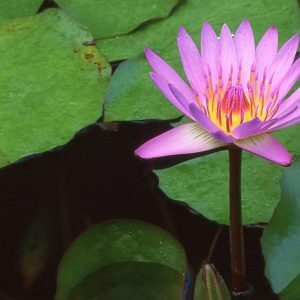 As a holistically-minded individual who has been plagued for most of her life with some serious sweat-stink, I’ve run the gamut of natural deodorants. Two months later, this product is my all-time FAVORITE. It applies easily, doesn’t stick to your fingers, and it literally lasts ALL DAY. I am SO excited I gave it a try, and I look forward to sharing this company with others! Keep up the awesome work– I will definitely be ordering! Thank you for taking the time to write this! I love happy customers. and YES it works, it is the only thing that works for me. I also tried everything on the market years ago. Thank you for sharing with your friends! Today I will be making another batch of ancient spice deodorant.The shop will be smelling spicy very soon! My husband loves this deodorant! It’s the only natural deo that works really well for him 🙂 Normally I pick this up from the Co-op in Roanoke, VA, but we travel a lot for work, so i’m having it shipped our way. Thanks for making such a great product!! Thank you! Having a happy husband is SO Important!